Cartek will close for Christmas on Friday 23rd December 2016 and reopen Monday 2nd January 2017. 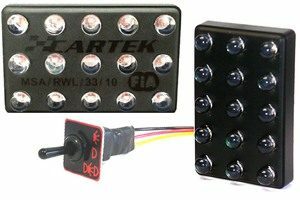 Cartek will have the new Battery Isolator XR and the newly revised Wireless Steering Wheel Control System on show on stand 8244. We will also be bringing stock to the show so you can purchase on the day. Autosport International is held in Birmingham, UK from the 12thto the 15th of January. Come visit us to see the full range of Cartek products. Go to our dealers page for more information. Cartek will have the new Battery Isolator XR and the newly revised Wireless Steering Wheel Control System on show on stand 4052. The show kicks off the start of the “Motorsport off-season” which we anticipate will be our busiest yet. PMW Expo is held in Cologne, Germany from the 9th to the 11th of November. Come visit us to see the full range of Cartek products. Cartek is pleased to announce a new range of products for the 2017 season. The ever popular Battery Isolator XR from Cartek is being replaced with the new XR model. This new version features new hardware making it the most powerful electronic Battery Isolator yet. Installation of this new XR version has been made even simpler than the previous XR and also incorporates a 0.5 second delay between transmitting the engine kill signal and disconnecting the battery allowing ECUs time to perform a shutdown sequence before electrical power is lost. The Wireless Control System has been revised for 2017 where the steering wheel panel is now fitted with plain, unmarked buttons and supplied with two sticker sheets allowing the user to customise their panel. One sticker sheet is contains multi coloured symbols while the other is printed using fluorescent yellow ink which glows in the dark under minimal UV light making it suitable for night racing applications. Cartek will also be displaying their new OBD2 CAN-Bus Signal Convertor. This unit will simply plug into the OBD2 port on all modern cars instead of being installed directly into the car’s CAN-Bus wiring system. This is therefore a much more convenient, plug-n-play solution for obtaining RPM and Km/h signals for use with shift light and gear indicator product on cars where these signals are not available. More information on all 3 products will be produced in due course. Cartek can now produce 16 Channel Power Control Panels with Back Light Illumination. 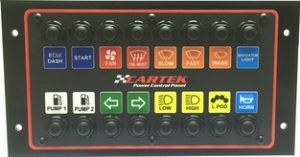 For more information on the Cartek Power Control Panels [Now Discontinued]. Cartek is please to announce Hawk Motorsport, Maxi Car Racing, Schlüter Motorsport, The Autosport Company, Re5ect Performance Components, Osatuonti Racing Shop and Autoracing as our new dealers. 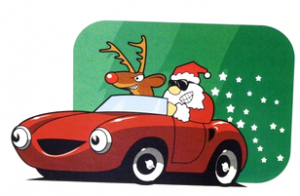 You can find out more information on our Dealers Page. You can find out more information on our FiA Rain Lights Page.